20 years of pressfitting and a new specific project. Design with great accuracy and work with up-to-date, light and compact BIM content with the free App of Raccorderie Metalliche! Pressfitting systems are nowadays Raccorderie Metalliche’s core business. We celebrate 20 years of pressfitting. Our first production dates back to 1999.
it consists of a practical, flexible, innovative, highly professional technology aimed to determine plants for our pressfitting systems. Design piping systems easily and fast! Configure and insert specific pipe fittings, valves and fittings Raccorderie Metalliche in your Revit project, available 100% and ready to order. And all directly from within your project. Use only updated and localized metal fittings. 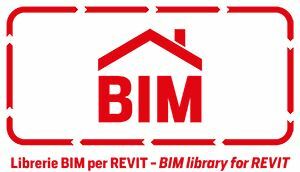 The integrated MEPcontent Browser library covers a wide range of items ready for use in the BIM process. It designs a complete metal fittings system through the autorouting function with extreme precision. T-fittings, curves, joints, reductions and other fittings are automatically inserted while drawing, depending on the desired routing preferences. In addition, when adjusting a plant size (eg diameter), the specific properties (eg item number) are also automatically changed. Do you want to quickly adjust the most complex connections? The App shows the best solutions available based on truly existing fittings. It is no longer necessary to use custom fittings provided by native Revit. Revit hoses are no longer a problem. It easily designs hose plants with special curves that allow you to draw in all directions, even with a top view, without slowing down the project. Create Revit schedules with all relevant data such as dimensions, manufacturer data and item numbers. Predefined schedules included in the app (such as cut lists, pipe fittings, and collapsible pipes) come with the latest product data so that you can order the items directly from within Revit. How can the installation of the application change my IT department's strategy? To answer this important question, we have created a document containing additional information on system requirements, which components are installed (and where), and how application updates work. You do not need administrator rights to install our intuitive Revit apps. The document is available here: IT support documentation of the MEPcontent application that explains the Revlt plugin funtionality. Pressfitting systems in austenitic high-alloyed Cr-Ni-Mo 1.4404 (AISI 316L) stainless steel. A wide range of pipes and fittings, from Ø15 to Ø168 mm fitted with black EPDM O-Ring for potable water, PN16 approved. Pressfitting systems in E195 unalloyed steel. A wide range of pipes and fittings, from Ø12 to Ø108 mm fitted with black EPDM O-Ring, PN16 approved. Pressfitting system in DHP Cu-DHP 99.9 (CW024A) copper and CuSn5Zn5Pb2 (CC499K) brass. A wide range of fittings from Ø12 to Ø54 mm fitted with black EPDM O-Ring for potable water, PN16 approved. Pressfitting systems in CuNiFe1.6Mn (WL 2.1972) copper alloy. A wide range of pipes and fittings, from Ø15 to Ø108 mm fitted with black EPDM O-Ring, PN16 approved.